Damir Tomicic spoke today at “Digital Aviation” event by Bitkom and Airbus Group. 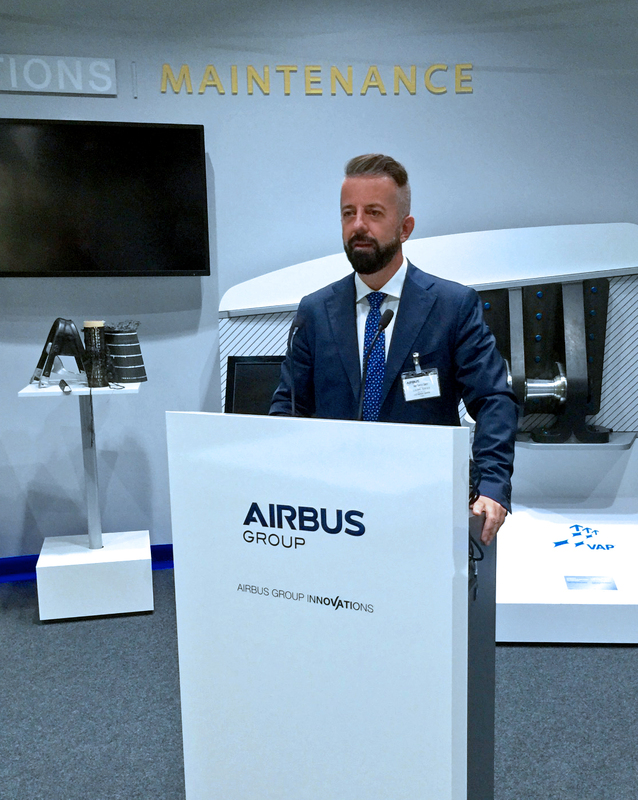 Damir introduced the concepts behind “Digital Platforms Built On Axinom” approach and Internet of Things (IoT) use cases for the aerospace industry. Damir’s speech was very well received and discussed among the representatives of the key players in the industry. “Digital Platforms Built On Axinom” concept describe ways to connect services, assets, and people across the business with proven industry-specific architectures and technologies. It’s no longer just about tech and digital-born organizations. Digital leaders across all industries are seizing this new opportunity for growth and capital rewards. Many are accelerating their uptake of digital technologies and cloud foundations as the crucial first step to break into the platform world. Axinom is one of them. The company’s placing a big strategic technology bet by providing the core foundation of digital platform products. Axinom has a bold vision: to reinvent the way people consume media and services at home, at work and while traveling.